A newly released book highlighting farm wives across Canada is continuing to gain recognition in southern Alberta. 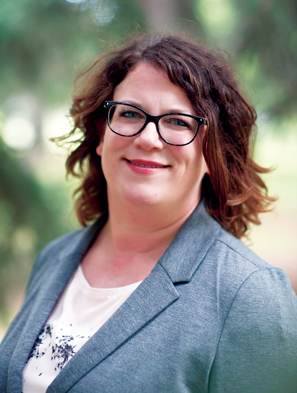 Billi J. Miller, a Lloydminster author, has released her second book in her Farm Wives project which features a local farm wife, Melanie Jespersen. After releasing Farm Wives in Profile: 17 Women: 17 Candid Questions About Their Lives in 2016, the book made waves across the country. Miller says the book started out as a tribute to all of the farm wives from the past, present and future. As a self-published author, Miller didn’t know quite what to expect with her first book but after some media coverage in her area, the books popularity started to rise. The first book in the series had a fairly straight forward approach but farm wives from all over, Canada flocked to the book as it was instantly relatable. When it came to approaching her second novel, she had a pretty good idea of how to follow up on her first. With the first book focusing on the older generation of farm wives, she knew that the next would be a focus on the younger aged wives. “I always knew I would write a second book. I knew I wanted to interview the younger generation to see how family farms are moving into the future. I also had the motivation to move it from just central Alberta to Canada wide. Thanks to the wonders of social media I was able to do that,” continued Miller. With expanding her focus on farm wives from central Alberta to the entire country for the sequel book, it led her to the Taber area. For southern Alberta, she got in contact with Jespersen who farms just south of Taber along with another family from Fort Macleod. The Jespersen’s are a fourth generation farming operation and the couple has two children. Miller says Melanie was a perfect candidate to be in the second Farm Wives novel. With a focus on women in family farms, Miller says anyone can relate to how essential they are to any farm. While each of the 22 individuals she talked to for Farm Wives 2 are different, they are also connected with how they put family life ahead of all else. Coming up next week, Miller will be partnering with Lethbridge restaurant, Mocha Cabana, for an event to “celebrate the Women of the Farm.” The event will include a three course meal, conversations, signed books and a book reading. “I’m going to talk about the birth of the Farm Wives project and talk about why it means so much to me. I’ve got a real heartfelt reason why it’s so important to me and I love sharing it with people. Mostly I just love celebrating these women and that’s what me and Mocha Cabana are trying to do,” added Miller. The event goes down on June 19 with doors opening at 5 p.m., tickets are $30 and can be acquired by contacting Mocha Cabana 403-329- 6243. Both books can be purchased through any online book retailer including at http://www.farmwivesbook.com or http://www.billijmillerphotography.com.